Since 1987, Craig Rennebohm has ministered to people who are homeless and struggling with mental illness. 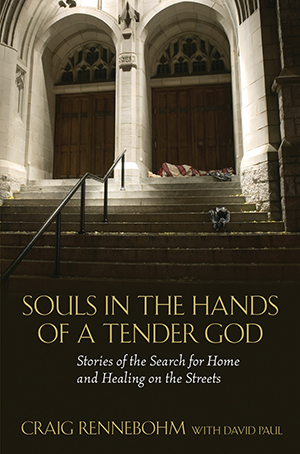 In Souls in the Hands of a Tender God, he tells the evocative stories of those who desperately need psychiatric, psychological, and spiritual support, like Mary, who surrounds herself with bulging trash bags, and Jerry, barred from every shelter and meal program in Seattle. With gentleness and grace, solid knowledge and wisdom, Rennebohm reaches out to each of them, and their stories become parables that explore mental illness and the spiritual heart of care and recovery.